AT MYSTIC AQUARIUM, CLOSE ENCOUNTERS OF THE INCREDIBLE KIND HAPPEN EVERY DAY! Whether you’re touching a ray, feeling the splash of a beluga whale, going beak-to-nose with a penguin or exploring the five most extreme habitats of our ocean planet, you’ll learn more and “sea” more than you ever thought possible! 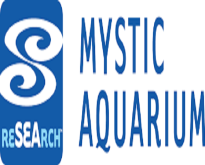 Special events become even more special when you host them at Mystic Aquarium! Let our Ocean Blue Catering team design a special event for you. From weddings to corporate events, evening cocktail receptions, Ocean Blue Catering™ will make your event a truly memorable experience for you and your guests. Corporate and Special Events The aquarium is a memorable venue (and natural conversation-starter!) for parties, meetings and other gatherings. Weddings Say "I do" next to our belugas, surrounded by fish on our main exhibit floor or in one of many other unique areas on our campus.